Save 20% on TV & Movie Tickets! 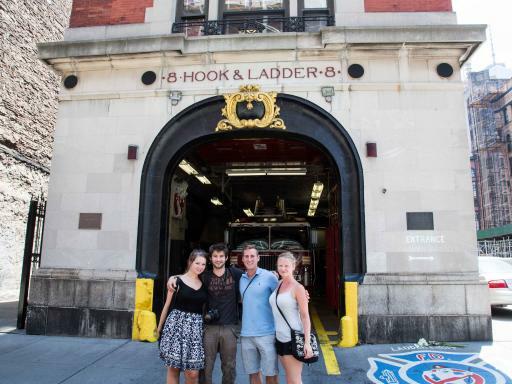 See all the New York sites made famous by film and TV on the fantastic On Location Tours New York TV & Movie Site Tour and save! Adult tickets now just £24 per person - offer must end soon! comment Book now and save over 20% on the regular tour price! Visit sites used for Birdman, Spider-Man, American Hustle, Friends, Seinfeld, How I Met Your Mother and much more! Through the years, New York has been used as a location for many blockbuster films and hit TV shows such as American Hustle, When Harry Met Sally, Friends and Glee. Now, here is your chance to see some of those sites seen on the big and small screen! 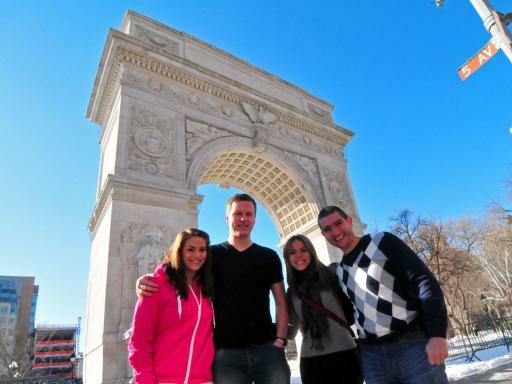 The NYC TV & Movie Tour shows you over 40 of the most famous places seen on screen. Sit back and relax as a local actor guide leads you through the most filmed city in the world on a tour of the city’s most recognisable locations sharing with you some of the TV and film industries best-kept secrets. Follow in the footsteps of your favorite characters when you hop off at different locations throughout your tour. Your sightseeing experience will be enhanced with clips from your favourite films and TV shows. Watch, as they become a reality, while you tour New York City and see where all that TV and movie-magic has happened. See the pub that Michael Keaton hangs at in Birdman. Spot The Original Soup Man, along with other Seinfeld locations. 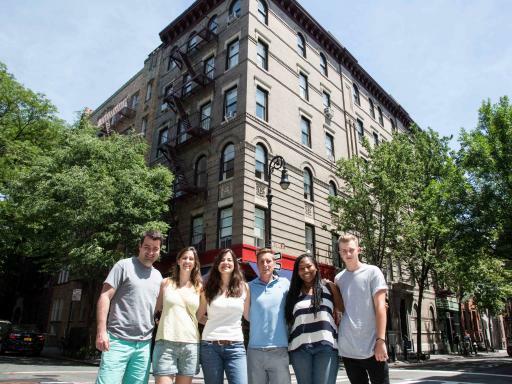 Visit popular spots from Friends including the gang’s apartment building. Pass the Oscorp and Daily Bugle office buildings from Spider-Man and The Amazing Spider-Man. Visit the Park featured in Glee, The Mindy Project, and When Harry Met Sally. 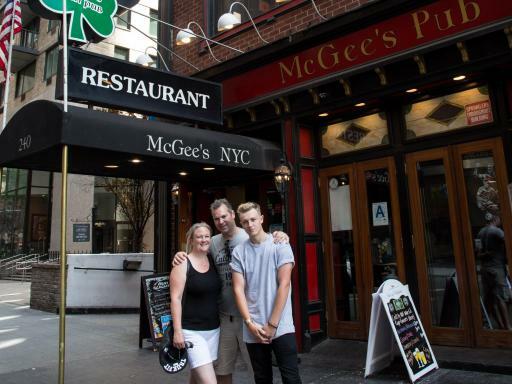 Stop at McGee's Pub, the bar, MacLaren's from How I Met Your Mother, was based on. 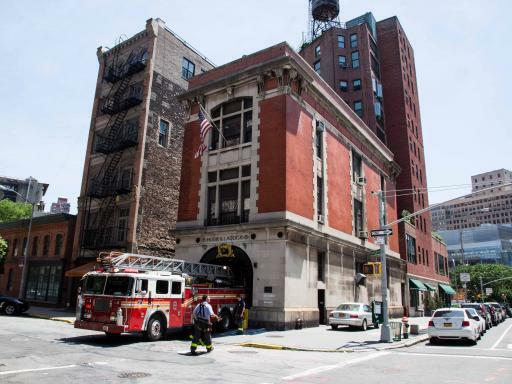 Catch a glimpse of the hotel featured in American Hustle Plus locations from Ghostbusters, Crocodile Dundee, Breakfast at Tiffany's, Taxi Driver and many more! Our new priority seating tickets includes pre-boarding, guaranteed seating in the first four rows of the coach and close access to the tour guide. Departure Location: Ellen's Stardust Diner at 1650 Broadway, at the corner of 51st Street and Broadway. 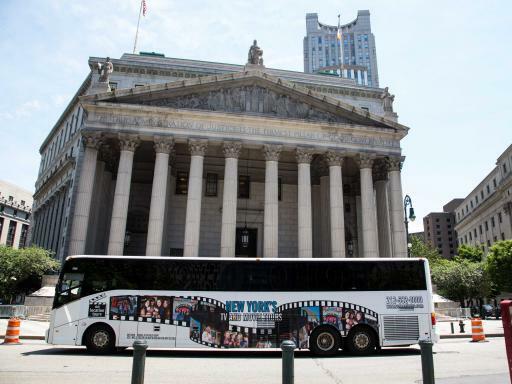 Departs: The NYC TV & Movie Tour runs daily except Wednesdays between the 11th January and 15th March. In New York it's complimentary to leave a small tip for the housekeeping at your hotel either every day, or at the end of your stay. Fantastic service! And tour guide was great! Roseann the tour guide was excellent loved seeing all the places from tv and movies loved it. Really enjoyed this! Our tour guide was fun and informative. Would've liked to have been able to take more pics. 15% discount at pub after was excellent. In an effort to stay current, this tour is constantly being updated with new locations and the inclusion of all the locations mentioned cannot be guaranteed.